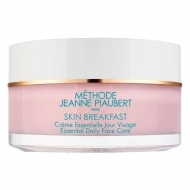 DESCRIPTION: Relaxlegs Gel Fraîcheur et Relaxant from Jeanne Piaubert is a specific cream for legs that allows to recover a feeling of lightness. This specific treatment tones, refreshes and relaxes the legs in a lasting way. Apply daily on legs or whenever needed.